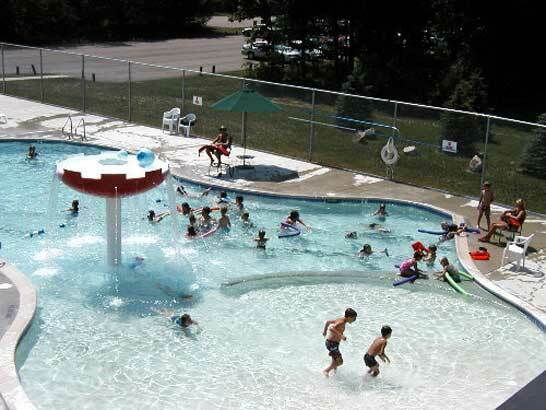 Our beautiful outdoor pool is always a favorite spot for all of our summer patrons. Come take a swim in our clean, warm pool. Pool hours vary, so please call ahead. Cost is $2.00 for all swimmers 6 years old and older and $1.00 for swimmers age 5 and under. There are scholarships available for those who need help with swimming costs. Please contact Renee Young, Family Services Department Director, at youngr@wmfc.org. for information regarding scholarship help. For information on swimming lessons policies please click on our Swimming Lesson Information link. For information on swim lessons, open swim times, family swims and so much more, please click on our Swimming Pool Information link. Please click on our WMFC Pool Rules link to read our pool rules. Junior Lifeguarding is a mentoring program that introduces students to the skills needed to become future lifeguards. Upon admittance into the program students are partnered with a WMFC Lifeguard who takes the role as their mentor. Lifeguard mentors work side by side with Junior Lifeguards throughout the summer teaching them lifeguard and leadership skills. The WMFC Junior Lifeguard (JL) Program helps prepare students for the Red Cross Lifeguard Certification Course. While in the WMFC Junior Lifeguarding Program students practice many of the lifeguarding skills that are required to pass the Lifeguard Certification Test. Students interested in the program are required to go through a selection process which includes filling out an application and completing an interview. Students must also be able to perform advanced swimming skills by completing a 200 yd. swim (without stopping) prior to applying for the program. Space in the WMFC JL Program is very limited. Preference is given to those students who have completed 7th grade, exhibit positive leadership skills and are good role models. Students interested in being considered for the WMFC Junior Lifeguard Program should complete the Junior Lifeguard Application Form and submit it to Renee Allen by June 10th at allenr@wmfc.org. Deadline for consideration into the program is June 10th.